agents in North Barrington and REALTORS® that specialize in North Barrington, we are highly active members of the community. up-to-date information on North Barrington area schools and links to community websites throughout the suburbs of Chicago. 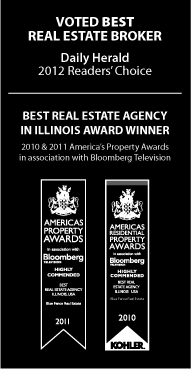 Barrington real estate homes for sale listings and property for sale in North Barrington. appointment to discuss your real estate options, please do not hesitate to call or contact us. This site features useful North Barrington real estate information for both buyers and sellers and interesting links to other great places on the web. of your North Barrington property. commercial real estate, 1031 Exchanges, and real estate investment properties. throughout every step of the process — always looking out for your best interests. contact us for one-on-one expert help and advice. That's our job.